Pope Francis is reportedly getting his very own Instagram account. Can’t wait to watch the fights that’ll occur in the comments on his every post! 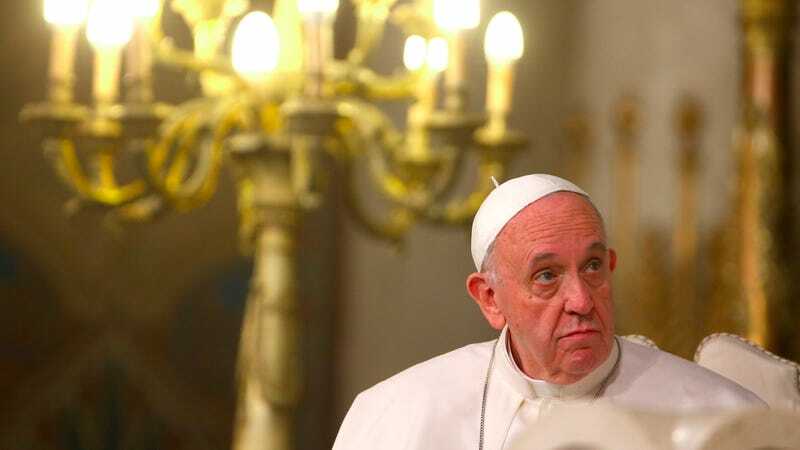 TechCrunch points to a report from the Italian newswire ANSA, which says he’ll be posting under the name “Franciscus.” TechCrunch notes the Vatican already has an official account, but nothing for Pope Francis himself—just some imitators. And they can’t have people running around trying to catfish in the pope’s name. #tbt to the time we convicted Galileo of heresy—oops! Alternatively, they could keep it 100 percent pictures of Pope Francis wearing hats.